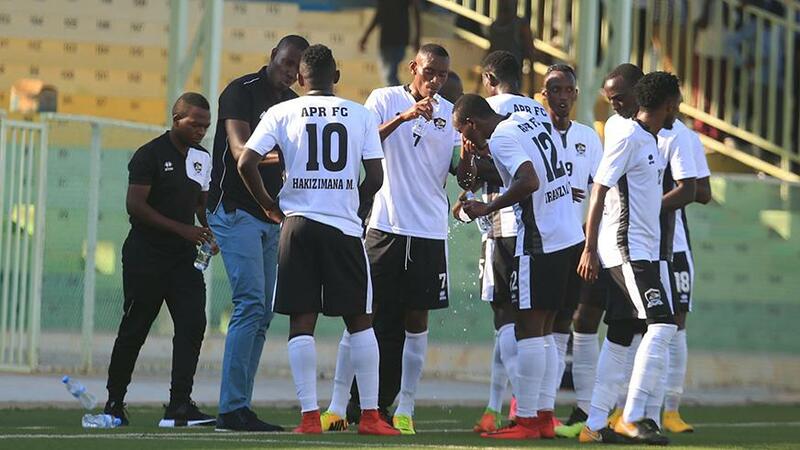 Azam Rwanda Premier League reigning champions APR FC suffered an early exit from the 2018/19 CAF Champions League following a 3-1 loss to Tunisian side Club Africain in the return leg of the preliminary round played on Tuesday night at Stade Olympique 07 Novembre in Rades. The military side was gunning to make a positive strides in the 2018-19 interclubs season better than their arch rivals Rayon Sport Fc’s brilliant performance in the 2018 CAF Confederations Cup where they reached the quarter-final round. Hosts Club Africain secured the lead early in the first half through Bilel Khefifi but forward Muhadjiri Hakizimana equalized through a penalty before half time to go into recess tied on a 1-all draw. The military side failed to hold onto their lone away goal as poor defending earned a second goal for the hosts courtesy of Derrick Sasraku in the second half before APR FC defender Emmanuel Imanishimwe hammered the last nail in the coffin for the military through an own goal after a failed attempt to clear a sharp cross away from his goal. The result earned a 3-1 goal advantage for Club Africain and granted them passage to the first round of the CAF Champions League. Both sides had played a goalless draw in the first leg played in Kigali. This was the second time that APR Fc played and lost to Club Africain in a space of seven years. In 2011, APR lost 6-2 to Club Africain in the preliminary round of the same competition, the two sides having played out a 2-all draw in Kigali before APR endured a 4-0 heavy return-leg defeat in Tunisia. APR Fc’s best campaign in Africa’s premier club competition was during the 2004 season when they reached the third round under the stewardship of late Jean Marie Ntagwabira. Since then, APR Fc, who are regarded as the country’s most successful club has faltered in the continent’s elite competition. Club Africain will face the winner between Sudan’s Al Hilal and Zanzibar’s JKU Zanzibar in the first round due in mid December. Meanwhile, Rwanda’s Peace Cup holders Mukura VS face South Africa’s Free State Stars in the second-leg clash. With a goalless draw played in the first leg, Mukura VS needs a win in Wednesday’s match which will be played at Stade Huye to advance to the enxt round. The winner between Mukura VS and Free State Stars will progress – from the preliminary round – to the first round of Africa’s second biggest club competition – the Total CAF Confederation Cup. The Huye-based side is playing continental football for the first time since 2001.